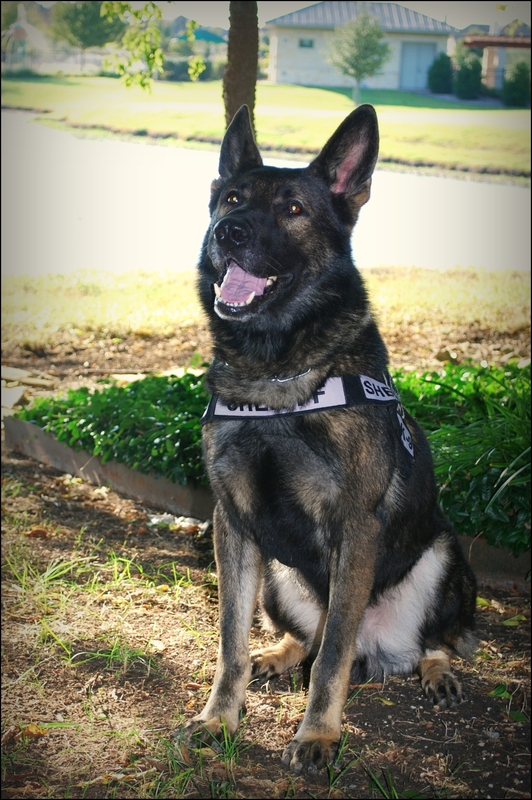 On Sunday, June 21, 2015, the Rockwall Sheriff’s Office’s only patrol canine, K-9 Neeko, passed away due to a cancerous tumor that ruptured on his spleen. His death was sudden and unexpected. 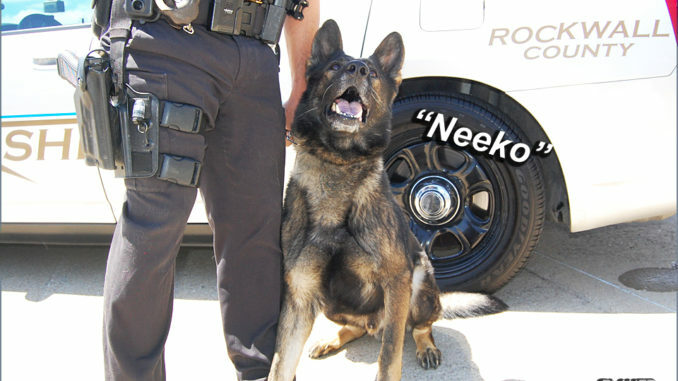 K-9 Neeko was almost nine years old and was still on active duty at the time of his death. Neeko was an 83-pound male German Shepherd that was purchased from Metro-Dade K-9, in Florida. He was a very obedient dog with a hard bite. Early in his career, his upper left and right canine teeth had been replaced with molded titanium teeth due to damage sustained by biting. Neeko was trained to detect marijuana, methamphetamine, cocaine and heroin. He was also trained in tracking and building/area searches and assisted state and federal agencies in criminal investigations throughout his career. He also participated in dog demonstrations at local schools, neighborhood crime watch meetings and National Night Out. 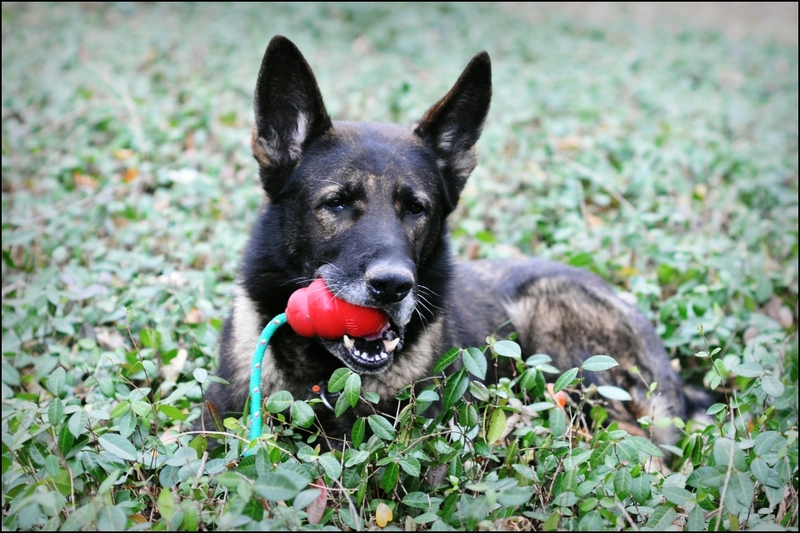 In the six years K-9 Neeko was active, he received 17 different certifications from NNDDA (National Narcotic Detector Dog Association) and NAPWDA (North American Police Work Dog Association) , along with 3 in-house certifications. Neekos titanium tooth in 2011. It should be noted that K-9 Neeko’s training was a joint effort by his handler and several past and present K-9 Officers of the Dallas Police Department. 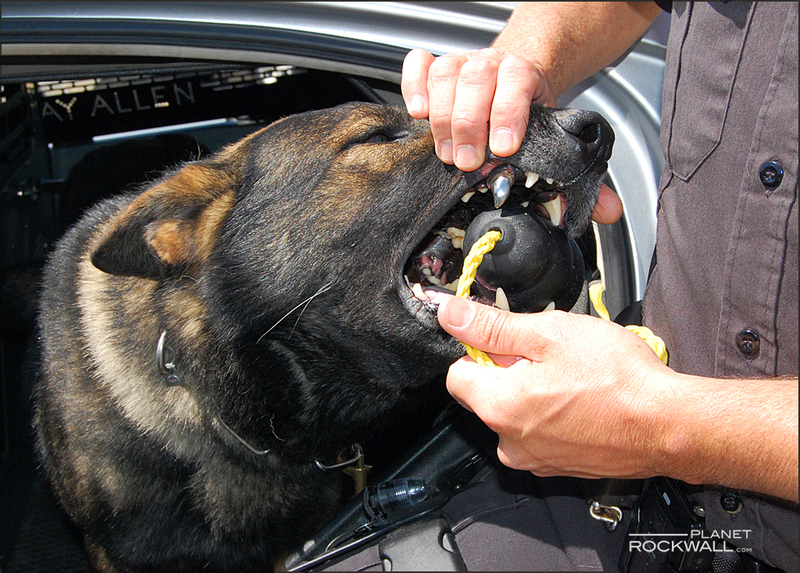 Without the help of the DPD, the RSO would never have acquired Neeko nor would the canine team ever have reached the level of proficiency that it did. The RSO is truly indebted to this great department for their professionalism and hospitableness to outside agencies. The RSO would like to give a special thanks to Dr. Keith Taylor of the Rockwall County Veterinary Clinic in Rockwall and Dr. Bonnie Bloom of the I-20 Animal Medical Center in Arlington for caring for Neeko throughout his career. 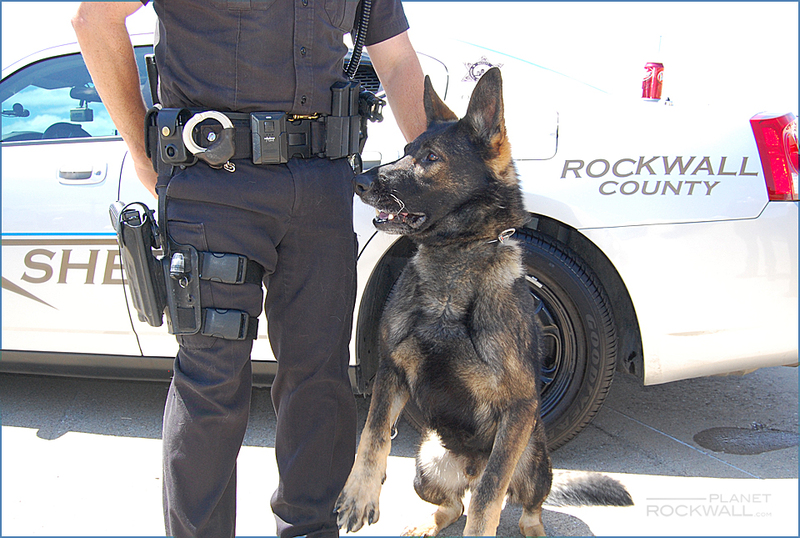 K-9 Neeko enjoyed all facets of the dual-purpose patrol dog, with his favorite being building search and apprehension work. He lived with a family that loved him deeply, and his departure has not been easy for those whom he left behind. K-9 Neeko was both a good friend and loyal partner; he will never be forgotten.